Endpoint Security or Endpoint Protection focuses on protecting enterprise endpoints in a network when accessed through remote devices such as laptops or other wireless devices. A potential entry point for security threats is developed by every single device with a remote connecting to the network. Endpoint Security or Endpoint Protection is a centralized approach to protecting all endpoints - servers, desktops, laptops, smartphones and other IoT devices - connected to the corporate IT network from cyber threats. This methodology enables efficient, effective and easier security management. Some vendors offer Endpoint Security systems that includes antivirus, firewall and other high defined security software. When any device-smartphone, laptop, tab etc- is connected remotely to a network, the endpoint thus created would provide an entry point for threats and malware. Endpoint security management is all about adequately securing such endpoints and thereby securing a network by blocking access attempts and such risky activities at endpoints. Endpoint security systems are a must in today's threat landscape. As more enterprises adopt practices like BYOD and also as incidences of mobile threats are consistently on the rise, endpoint security becomes highly relevant. Employees today connect to company networks using their laptops or mobile devices, from their homes and also while on the move. In this scenario, when security perimeters tend to be undefinable and ever-shifting, a centralized security solution won't be adequate. It's here that security endpoints come in, supplementing centralized security measures with additional layers of protection at endpoints, which are not just entry points for threats and attacks, but points of egress for sensitive data (corporate and personal) as well. Companies need to ensure that endpoint devices meet security standards; this has to be ascertained before such devices are granted network access. Endpoint security helps enterprises maintain greater control over all access points and also helps block threats and access attempts effectively. Security endpoint tools also help monitor for, detect and block malicious activities. Endpoint security systems typically consist of a centrally located security software (which is located on a centrally managed server or gateway within the network) plus the client software that's installed on each endpoint or endpoint device. What is the difference between Endpoint Security and Antivirus Software? It's to be understood that endpoint security software happens to be basically different from the antivirus software. In the case of endpoint security software, it's not an individual device that's protected; it's the network as a whole that is secured. The endpoints or endpoint devices, on the other hand, bear some amount of responsibility for their own security as well. 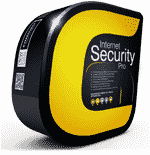 This means that even when there is an endpoint protection software to safeguard a network, it's always necessary also to protect endpoint devices like laptops, smartphones etc with endpoint security antivirus or antimalware tools. 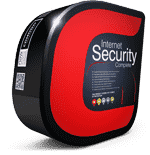 Comodo’s free endpoint antivirus software is capable of protecting your network with anti-spyware, anti-spam, and virus protection, which can lessen slowdowns of the system and offer customized options. The Endpoint Security Solutions works on a client-server model. Within the network there would be the endpoint security software, located on a centrally managed and accessible server or gateway. On each endpoint or endpoint device would be located the client software. The security software authenticates logins made from the endpoints and simultaneously updates client software when needed. Endpoint Security software also works as a SaaS (Software-as-a-Service) model; here the security programs and the host server are both maintained remotely by the merchant. An endpoint is always a potential entry point for threats. Endpoint devices, including smartphones, laptops, tablets can be used by cyber criminals to attack networks with malware that could help them steal data from the network systems. Today, the risk is even bigger as enterprises all over the world adopt practices like BYOD (Bring Your Own Device) and personal devices- smartphones, tablets etc- are connected to enterprise networks. Mobile threats have shown an increasing trend in recent times. People even connect to organizational networks using their home computer. In such a scenario endpoint security gains significance since it supplements centralized security solutions with additional security endpoint protection and prevents threats to secure the network. Endpoint devices would need to meet security standards before being granted network access; this would help prevent threats to a great extent. 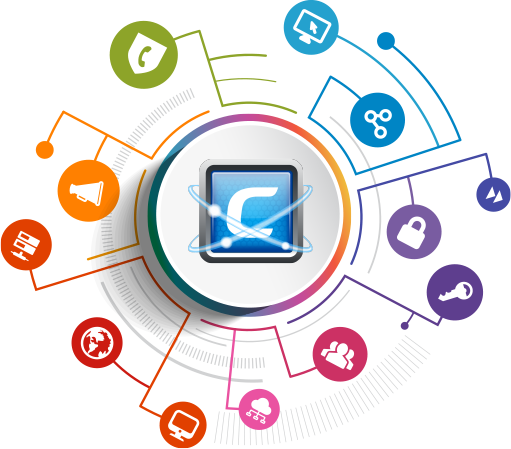 Endpoint security software also helps in monitoring endpoints and endpoint devices for risky and malicious activities. Comodo Endpoint Security Manager provides centralized management of Comodo's 7-layered security suite that is capable of proactively protecting endpoints and their applications against advanced threats and malware. Containment with auto-sandboxing – All unrecognized processes and applications are auto-sandboxed to run in a restricted environment. Web URL Filtering – Advanced interface to create rules as required – user-specific, sweeping, or as granular as desired. Comodo Firewall – Offers high-level security against inbound and outbound threats, stealths computer's ports, manages network connections, and blocks confidential data transmission by malicious software. 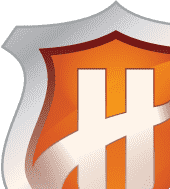 Antivirus – Features multiple technology-based automatic detection, cleansing and quarantining of suspicious files to eliminate malware and viruses. File Lookup Services (FLS) – Cloud-based instant analysis of unknown files that checks file reputation against Comodo's master whitelist and blacklists. Host Intrusion Protection System (HIPS) – monitors important operating system activities to ensure protection against malware intrusion. Viruscope (Behavior Analysis) – Behavior of all processes are monitored for potential harmful action. Comodo Advanced Endpoint Security software brings 7 layers of defense – antivirus, firewall, web URL filtering, host intrusion prevention, auto-sandbox (containment), file reputation and viruscope (behavioral analysis) – together under a single offering for customers of all sizes, to protect them from both known and unknown threats. Whether deployed as a complete security suite or by using the sandbox as a standalone to fortify existing AV solutions, the Advanced Endpoint Security software offers unrivalled endpoint protection for Microsoft Windows servers, desktops, laptops and tablets. The full Endpoint Security suite brings 7 layers of protection to the point of impact – the endpoint environment. Its disruptive auto-sandbox technology eliminates malware outbreaks and operating system contamination by automatically running untrusted/unknown process in a virtual environment within the existing system and with low system usage requirements. This makes Comodo's enterprise endpoint security the only managed anti-malware solution that can offer a $5,000 limited warranty against infection. The Advanced Endpoint Security dashboard gives administrators panoramic insight and control over all aspects of security endpoint protection and management. Its streamlined interface displays 14 critical metrics about each machine, facilitating rapid alerting and remediation of issues. Administrators can also terminate endpoint processes, stop or start services, uninstall applications and delete unwanted files - all without causing interference to the end-user. Comodo Advanced Endpoint Security allows you to control and centrally manage security endpoint protection through the application of operational templates or policies. Any deviation from these policies causes the Advanced Endpoint Security to automatically reapply the assigned policy or alert the administrator if it is unable to do so. Comodo's advanced endpoint protection also provides administrators with the ability to centrally manage endpoint system resources. Administrators can define operational thresholds for CPU usage, RAM usage, network usage and available storage. Should the thresholds be exceeded, the Advanced Endpoint Security will alert the administrator through the dashboard and via email notification. Additional policy configurations include power management such as screen-locking or drive-locking. Your Green initiatives are further enhanced through system-standby and system-hibernation scheduling. Comodo's endpoint protection also offers options for disabling USB mass-storage devices, optical devices and even floppy drives. 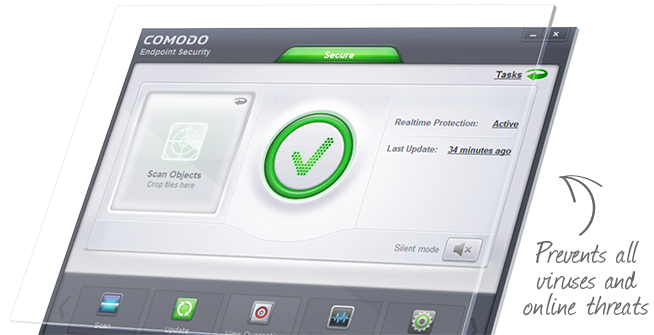 Click on the endpoint security download button and get Comodo’s free endpoint security trial today! Apple, Mac and OS X are trademarks of Apple Inc., registered in the U.S. and other countries. Comodo's endpoint protection is not affiliated with Debian. Debian is a registered trademark owned by Software in the Public Interest, Inc.
One-of-a-kind containment technology automatically sandboxes unknown malware in a 'Virtual Desktop'. Single-point management of servers and endpoints - workstations, laptops, smartphones and associated applications. Multiple technologies combining containment with auto-sandboxing, web URL filtering, antivirus, firewall, cloud-based FLS, process behavior analysis and HIPS to protect each endpoint. Centralized system management to monitor and control processes, services and applications at endpoints. Easy administration through 'pull' and 'push' deployment. Ability to communicate with remote endpoints and users to provide remote assistance. Faster response time to new and emerging threats. Definition of specific security configurations on the granular-level for endpoints within and outside the VPN made possible by location-aware policies. Integrated power management through advanced Wake-on-LAN enabled systems. Low system requirements allows installation of the product even on non-dedicated Windows servers and Pcs. At-a-glance snapshot of security settings through intuitive graphical user interface. What protection does Endpoint Security offer? How much system resource is consumed on the endpoint? On idle, the entire 5-in-1 suite only consumes 7.5MB RAM and doesn’t register any CPU usage in Windows Task Manager. How do I manage endpoints using Comodo Endpoint Security? Endpoint can be administered via a list, tile or panoramic display interfaces. Can the management server be run from a virtual server? Can I manage virtual machines? Yes. ESM can manage full virtualized machines or virtual machines cloned from templates (requires sys prep utility to be run on master template first). Where do I deploy the endpoint protection server? The endpoint protection server can be installed on any supported Microsoft Windows operating systems running on a private cloud server, public cloud server or on-premises server. I manage endpoints in multiple locations, how do I use Comodo ESM? You can manage all your endpoints from a single endpoint protection server. Alternatively, you can use Comodo ESM 'Dependent Servers' function so that each site has its own endpoint protection server which you can control from an upstream endpoint protection server. How do I deploy to my endpoints? Comodo ESM will auto-discover any endpoints in your Active Directory/LDAP containers. Alternatively, you can use the wizards to 'push' the ESM agents to the systems you want managed. You can 'push' deploy to Active Directory OUs, Microsoft workgroups, single IP addresses or an IP address range. You can also download and save the Windows, Mac or Linux management agents to a shared folder, then use login scripts or Group Policy to 'pull' deploy to your systems. Is alerting/reporting done on a schedule? No. 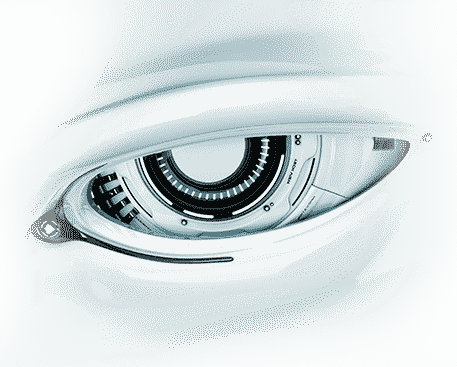 Comodo's endpoint protection alerting takes place in real-time. How do I know when something is wrong? There are several ways that ESM alerts an administrator. The endpoints tile icon will change color to indicate an infection has been found, the signature database is out of date, the endpoint is not policy compliant or system resource usage has exceeded pre-defined thresholds. The numbers in the information bar's heads-up display will increase. Comodo Advanced Endpoint Security will send you a notification email for any event that you specify. How are virus database updates received and how are they pushed out? Virus database updates aren't pushed; instead they are pulled by the endpoint according to the schedule you have set for them. Updates can be received from the Internet or from the ESM server acting as a caching proxy. You can choose to use either (or both) as part of the post-deployment policy configuration. Administrators can also update selected endpoints using the 'Update' button in the administrative interface or on the endpoint's 'Properties' tab. Can I enable and disable individual components? Yes. You can choose which components to install (AV/Firewall/Sandbox) during the initial setup or you may re-configure the components at any time thereafter. Can I configure Advanced Endpoint Security to use an existing database server? Yes. Comodo's endpoint protection can use its embedded Microsoft SQL Express 2012 edition or can be configured to use an existing instance of Microsoft SQL 2005 or later (Express, Standard or Enterprise). Sufficient to run any of the browsers listed below.